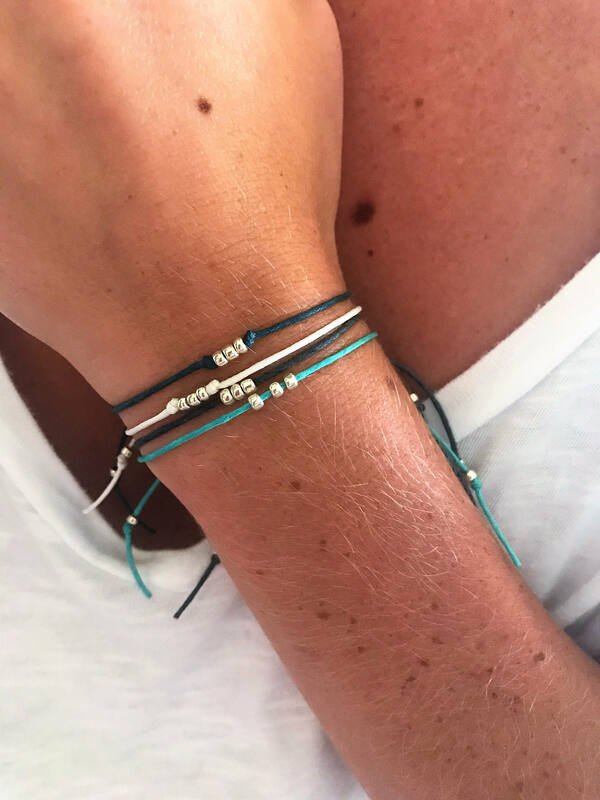 Catch those beachy, summer vibes (no matter what time of year it is) with the simple, chic, minimalist silver bead bracelet. 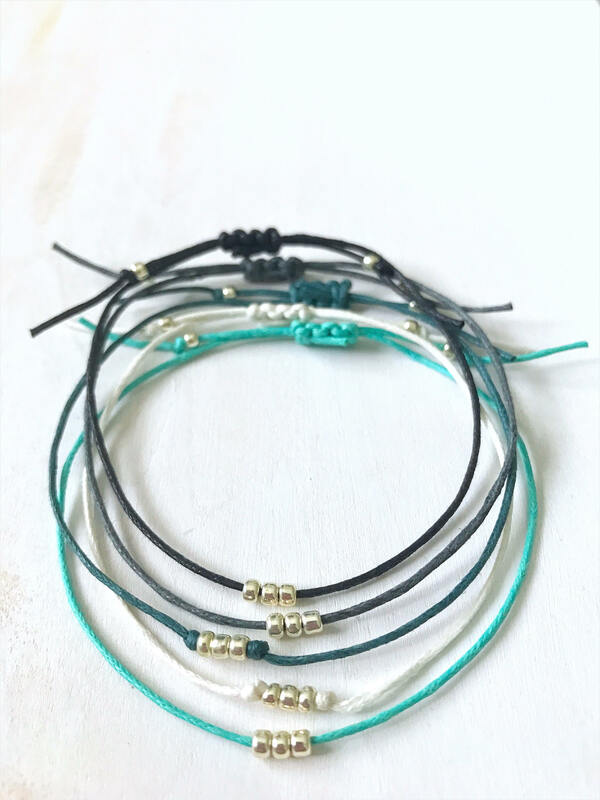 It will become one of those essential wear it forever, never take it off pieces that you won't want to stop layering with! 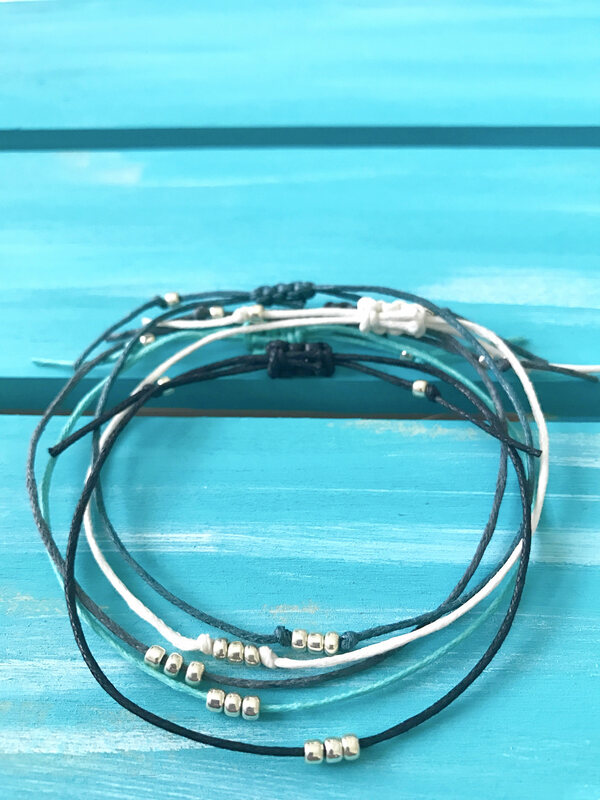 A minimalist cord bracelet made with lightly waxed cotton cord and 3 Toho Silver Seed Beads. 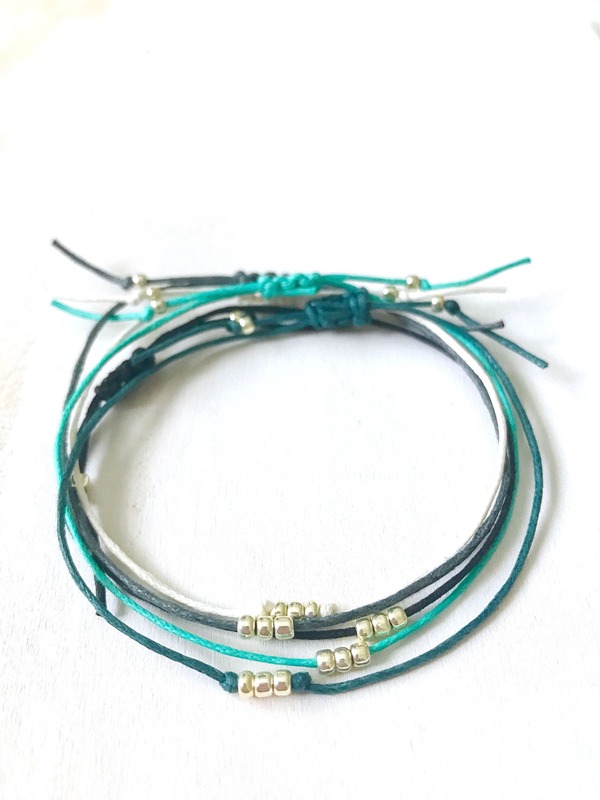 The bracelet is made adjustable with a sliding knot closure and the ends are finished off with the same Toho Silver Seed Beads. 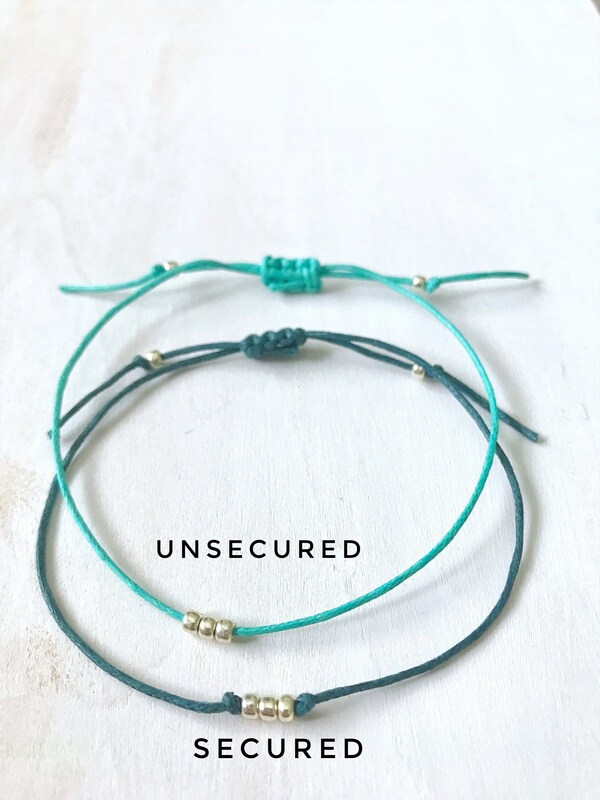 You can choose if you would like your seed beads secured with a knot on each end or unsecured (as labeled in the sixth picture). **Please note that due to monitor differences colors on actual product may vary slightly from what you see in the pictures. 2. Choose from the drop down options if you want the beads secured with a knot or left unsecured from the drop down options. 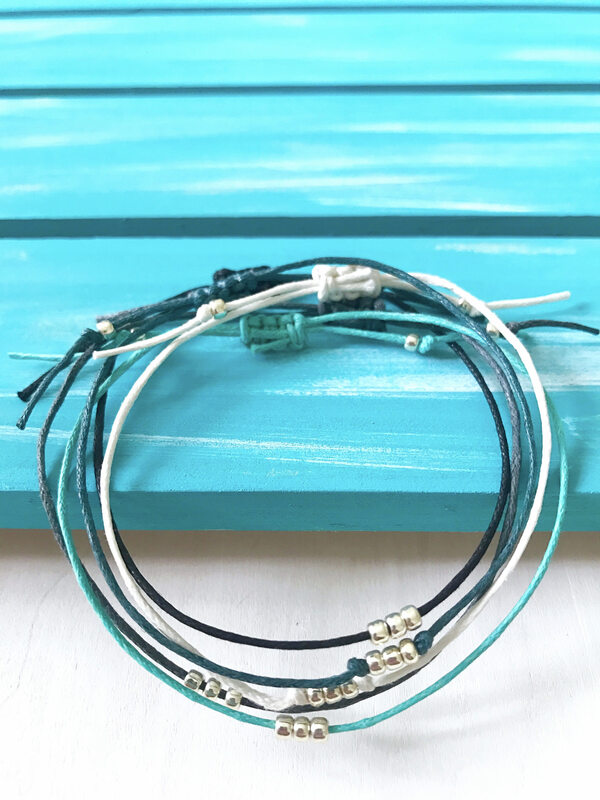 One size fits most - bracelet is adjustable. All bracelets are handmade to order by me in the sunny state of Florida and come in a variety of colors as listed below. I make and ship most items within 1-3 business days but please notify me when you place your order if you need something in a hurry and I will do my best to get it out that day! 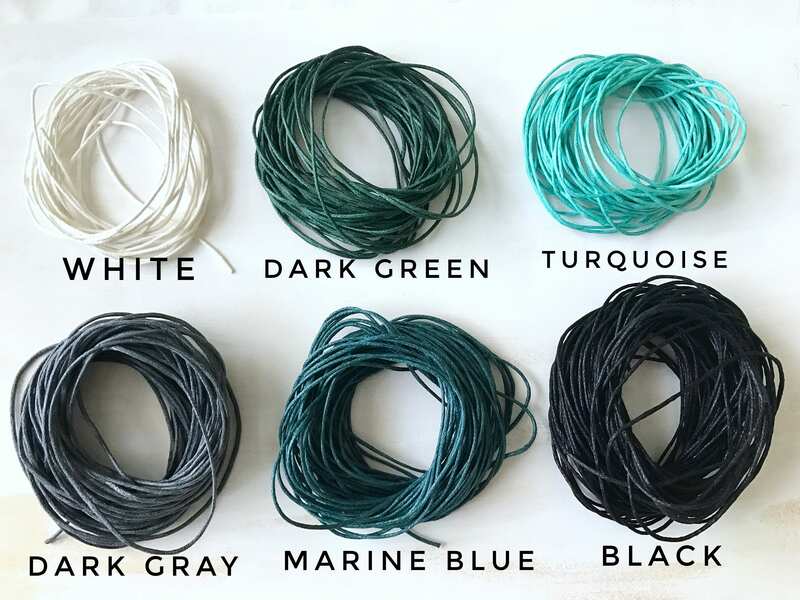 • Waxed cotton cord is durable due to its tightly braided construction but do still remove bracelet before doing house and garden work, swimming, bathing, and sports activities as these activities cause unnecessary wear to your bracelet. 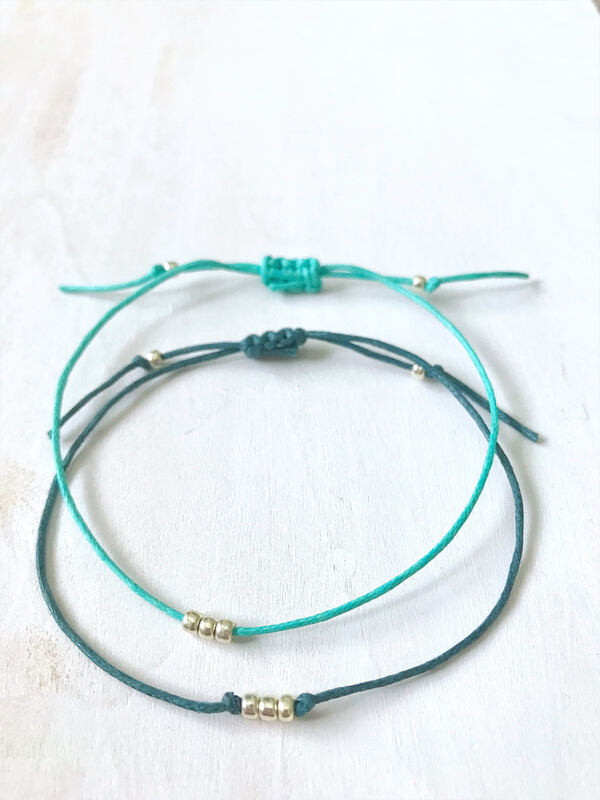 • Your Silver Seed Beads are made with Toho's new permanent galvanized finish which is 90% more durable than their previous galvanized finish. However, do still be sure to avoid exposing your beads to harsh household chemicals (bleach, sulfuric acid etc.) and remove before showering, exercising, playing sports or engaging in vigorous household chores. The packaging and wrapping were so sweet. The bracelets themselves were much smaller and dantier than pictured. They are more fit for young girls, not women. They are tiny. 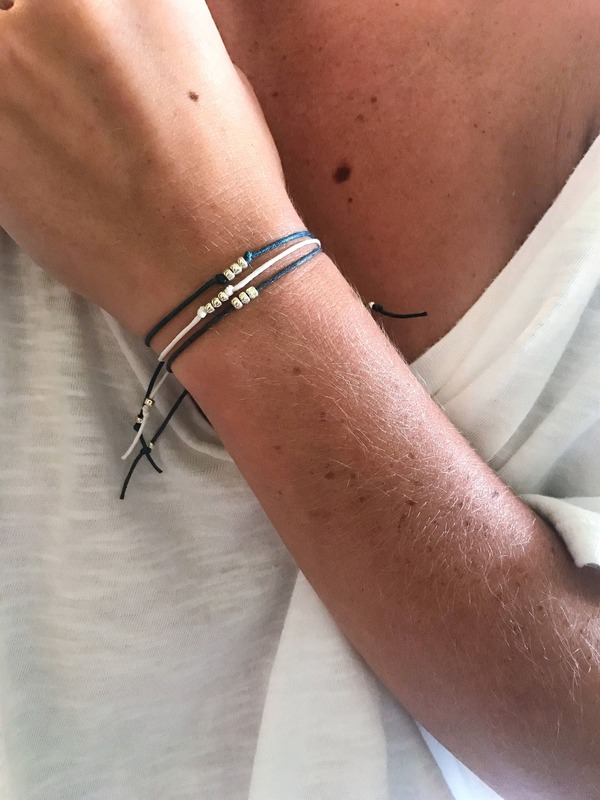 i love the bracelet, very simple,minimalist style - jut the way i like it! :) beautiful presentation too. thank you!